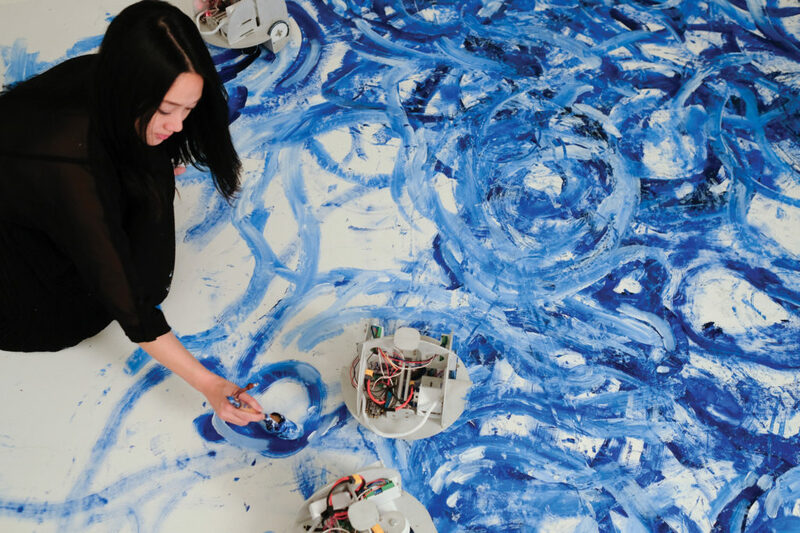 Multimedia artist Sougwen Chung has been collaborating with robots since 2015, exploring the connections between handmade and machine-made designs as a way to understand the relationship between humans and computers. 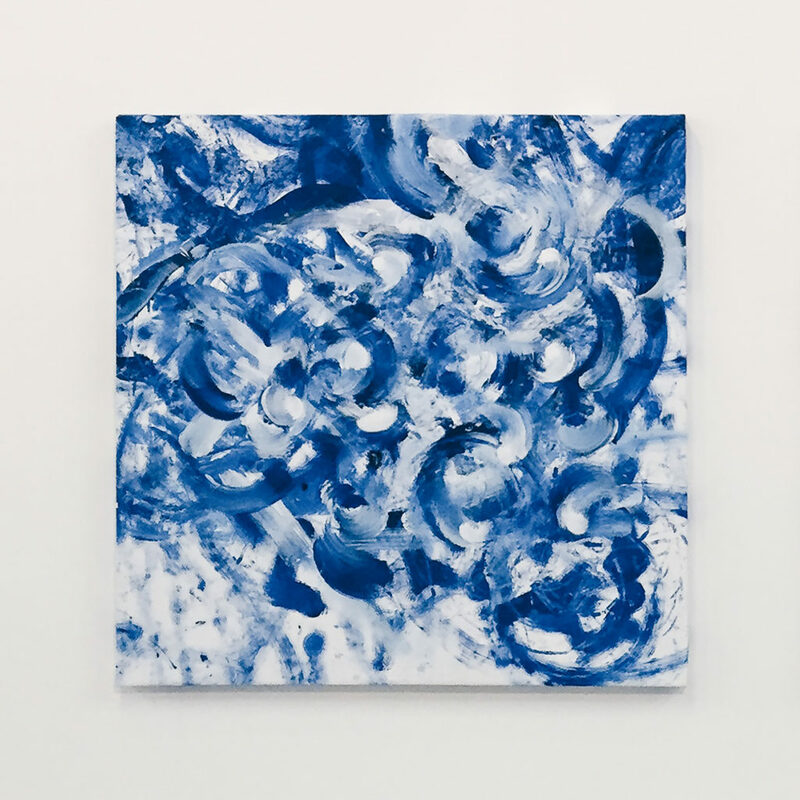 Her multifaceted artistic practice also includes filmmaking, painting, sculpture, installation, and performance. 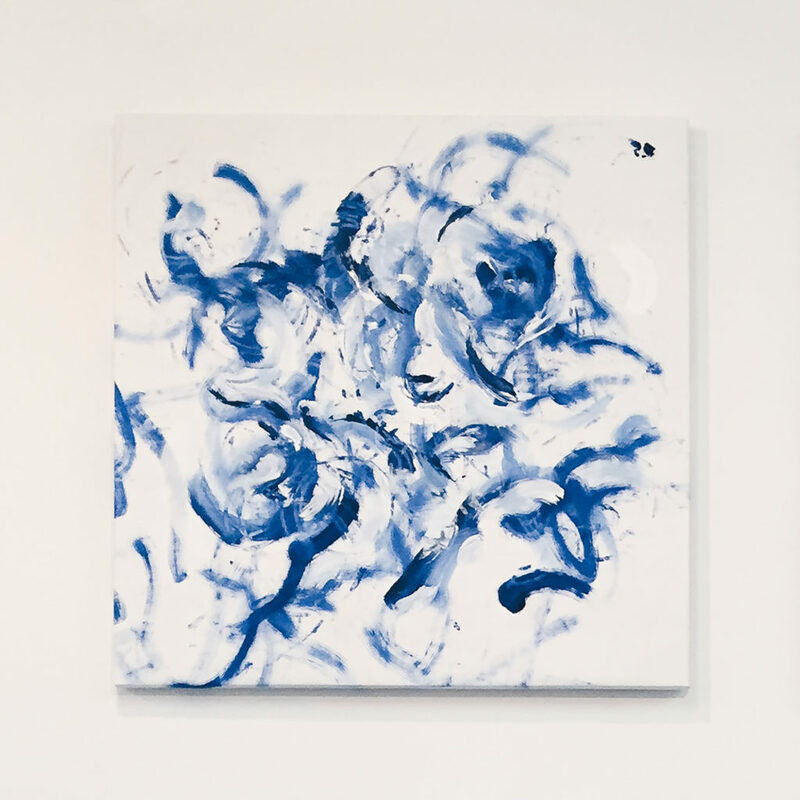 Chung’s 2018 piece Omnia per Omnia reimagines the tradition of landscape painting as a collaboration between herself, a team of robots, and the dynamic flow of New York City. The work explores the poetics of various modes of sensing: human and machine, organic and synthetic, and improvisational and computational. In another series, Drawing with DOUG (Drawing Operations Unit Generation), she engages in improvisational drawing performances with a robotic arm she named DOUG. 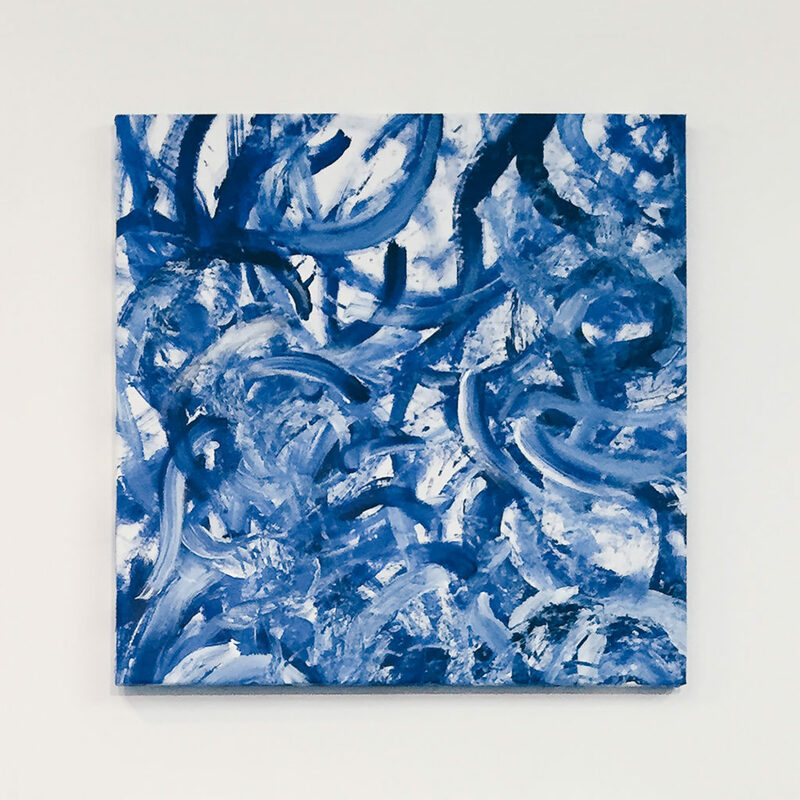 In its first iteration, DOUG could move, see, and follow her gestures. In subsequent versions, DOUG could also remember and reflect on what it and others had drawn. 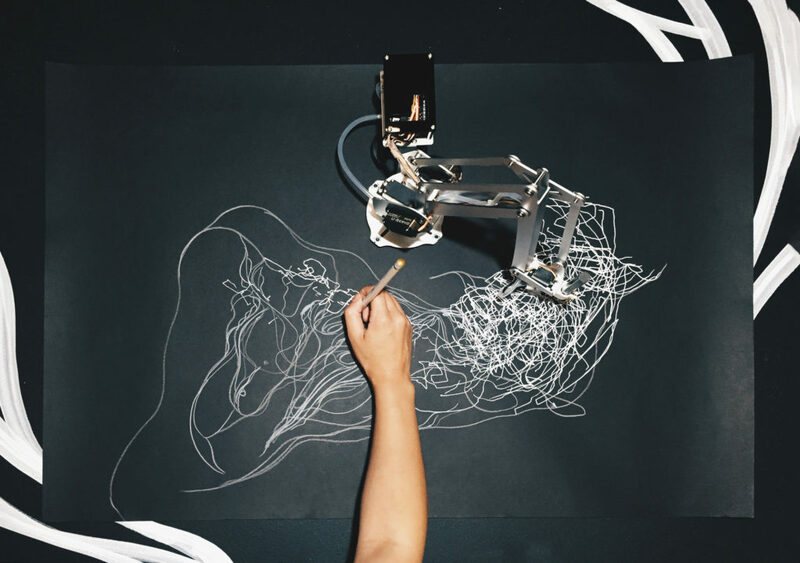 Through her collaborative drawing performances with custom-designed robots, Chung is exploring the potential of machines to be artistic collaborators and ways for artists to participate in the rapidly developing field of machine learning. 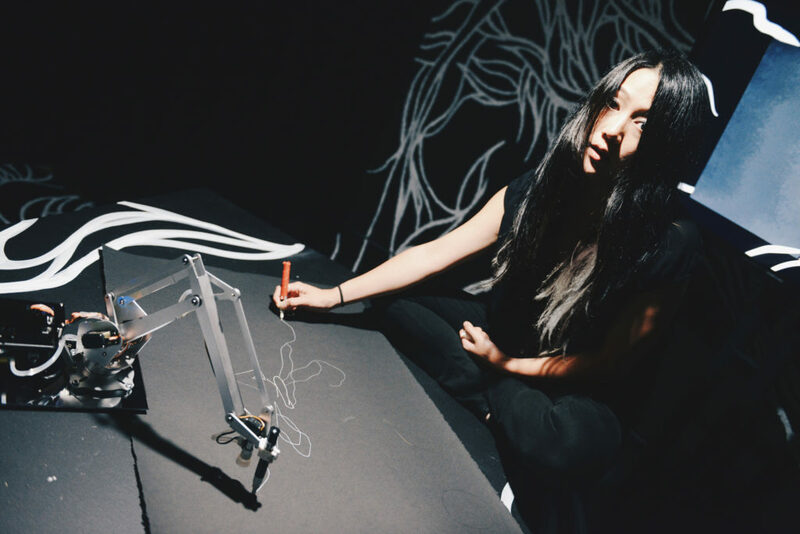 Chung, a Chinese Canadian artist and researcher based in New York City, is an artist-in-residence at Google and the New Museum’s cultural incubator, New Inc., and a former research fellow at MIT Media Lab. 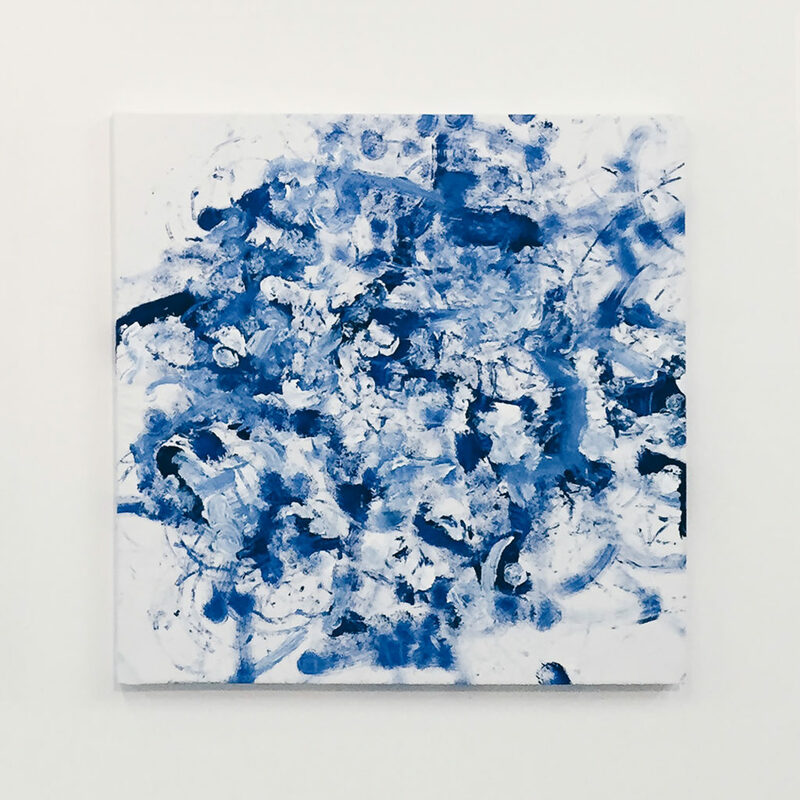 In 2017, she was one of three artists selected to participate in a new partnership between Nokia Bell Labs and NEW Inc. to support artists working with emerging technologies such as robotics, machine learning, and biometrics. Photo by Aki Akiwumi, taken at Mana Contemporary. Issues. “Sougwen Chung.” Issues in Science and Technology 35, no. 1 (Fall 2018).